Removing plaque, a bacterial film that builds up on teeth, daily is crucial in preventing dental disease, but is your brushing and flossing making enough of a difference? Plaque forms every day in our mouths as a result of eating. 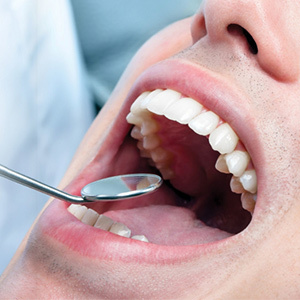 The bacteria in it produce acid, which can erode tooth enamel and cause tooth decay. Certain strains can also infect the gums and cause periodontal (gum) disease. Either of these primary diseases could lead to tooth loss. Daily plaque removal with brushing and flossing keeps bacteria growth under control, so a quick swish of your toothbrush across your teeth won't be enough. Plaque's soft, sticky consistency enables it to hide in hard to reach places below the gum line, irregular biting surfaces, or in fillings or other dental work. Because it's virtually invisible, it's hard to tell if you've successfully removed it. That's where disclosing agents can help. These are solutions, swabs or tablets with a dye that temporarily stains plaque while not staining tooth surfaces. Dental hygienists use them to show patients where they're missing plaque when brushing and flossing, but you can also use them at home to see how you're doing between dental visits. After brushing and flossing, use the disclosure product according to the package directions. If you're using a solution, for example, swish it around in your mouth for about thirty seconds and then spit it out. 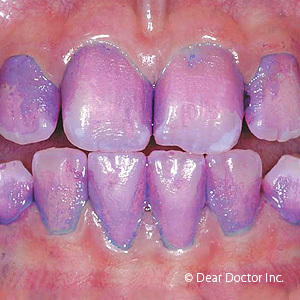 The dye reacts with leftover plaque to stain it a bright color. Some products even offer a two-tone dye that displays older plaque in a different color from newer plaque. After noticing the dyed plaque in a mirror, brush and floss until you don't see it anymore. You may have to change your approach, which will help you perform better in the future. Although safe in the mouth, you should still avoid swallowing the agent or getting it on your clothes. Any on your lips, gums or tongue will eventually wear off in a few hours. A disclosing agent gives you a snapshot of where you need to improve your oral hygiene. 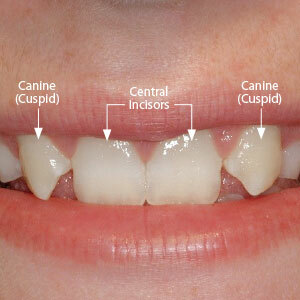 Occasional “spot checks” will help keep your brushing and flossing well tuned. If you would like more information on how to perform effective oral hygiene, please contact us or schedule an appointment for a consultation.